Michigan Gov. Rick Snyder and a British government official have signed a memorandum of understanding designed to strengthen the production of advancements in automotive technology and mobility. 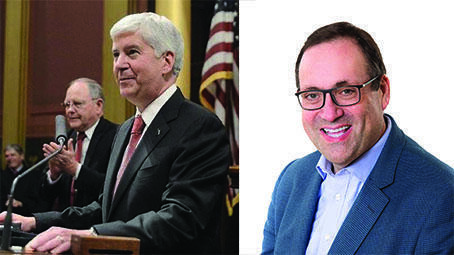 Snyder, who is in Europe on an eight-day trade mission, signed the deal with Minister Richard Harrington of the House of Commons of the United Kingdom. He said Monday that the agreement signed in London creates a "great partnership" for Michigan and the U.K. to work closely together in developing and deploying intelligent vehicle transportation. Cooperation between the governments could include the sharing of scientific and regulatory data, co-hosting meetings and conferences, sharing best practices and jointly developing new programs to address emerging technology needs.